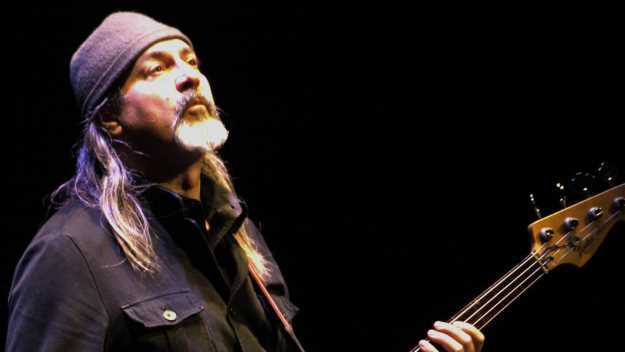 Even if you don't know Bill Laswell by name, it's likely you've heard his music. "People are catching up and paying attention, making connections," reflects the bassist, who's worked on dozens of major-label and underground releases for over four decades. Laswell's many roles inform his broad perspective: he's a producer, remixer and the founder of several labels, including Axiom Records and Subharmonic. He's worked with hundreds of bands and performers, quite literally from all over the globe. On the high-profile tip, Laswell produced Mick Jagger's She's the Boss, Iggy Pop's Instinct, Motorhead's Orgasmatron and the Ramones' Brain Drain, and remixed some of Miles Davis's most adventurous work. Laswell's production duo, Material, even put out Whitney Houston's first recorded lead vocal performance in 1982. A living archive of music history, Laswell plays a short residency at The Chapel in San Francisco running Feb. 4-8. He's best known as a collaborator, but the eight-concert series is a chance to showcase the musical talent that's enabled him to work with these world-renowned acts. "[My work] continues, and so does the appreciation of it," says Laswell, whose latest release with jazz and instrumental hip-hop band AFTERMATHematics came out on Jan. 18. "Every once in a while, something comes up and you say, 'Well, that's interesting that people found this from so long ago.' You hope that the newer things will translate, and so far that's been good." Laswell's more experimental discography on his Bandcamp page attests to his passion for what he's described as "collision music," which is what happens when skilled performers from different musical paths combine and create. "People come up, young or old, and you always find somebody new who is doing something interesting," he says of his collaborations over the years. "That hasn't slowed down so much." Born and raised in the Midwest, where he first started performing, Laswell moved to New York City in the late '70s and rapidly made a name for himself there both as producer and performer, riding out the flush major label years of the '80s and '90s, and continuing his career as an independent artist into the present day. Laswell's Bay Area connections run deep. In 2002, he recorded a live album at San Francisco's annual Stern Grove festival with the quartet Tabla Beat Science (also featuring the famed percussionist Zakir Hussain), and another one in Switzerland in 1997 with Praxis, a supergroup that included famed Bay Area turntablists Invisibl Skratch Piklz. Laswell's residency at The Chapel spotlights no less than six of his numerous collaborative projects. Those include his fierce avant-garde trio Massacre; the exploratory, serene Divination, which also features noted multi-instrumentalist Laraaji; and the hip-hop and dub ensemble Method of Defiance, appearing with a seven-person lineup that includes fellow NYC figures DJ Logic and Dr. Israel, among others. One Bay Area musician core to Laswell's work is Mills College music professor Fred Frith, a fellow member of Massacre, who joins Laswell on stage on Feb. 6. Though they've worked together since 1980, Laswell feels that the group reached a new level of prowess only recently. "It's encouraging to know that you can do that for so long and then you're at your peak at this point," he elaborates. "It's a surprise, but it's been coming consistently the whole time. Every few years it feels like it's so much better, and then it continues. Concerts we've done recently in Japan and Paris and Portugal were I believe the best we've done." "There's things that just pop up and surprise you, it's not what you expected, and that turns out to be something you want to continue," he muses. "It's all a continuation. Different players come from different places and different groups, and all of a sudden they're connected to another situation, another configuration. That's becoming more natural."